Today there are 400 workers on site and the number is expected to increase to 500 before the construction process is over. 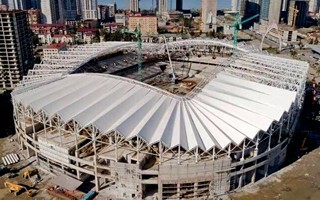 At this point in time, just 13 months after groundbreaking, there's absolutely nothing threatening safe delivery of the new stadium in Batumi. The contracted delivery date is still far away (34 months, which means end of September, 2020), meanwhile almost all of the concrete works have been delivered. Even more, entire primary steel structure of the roof is already in place. In the south installation of membrane sheets had already begun, which begins to show the building's main architectural feature: its 'dancing' outer form. 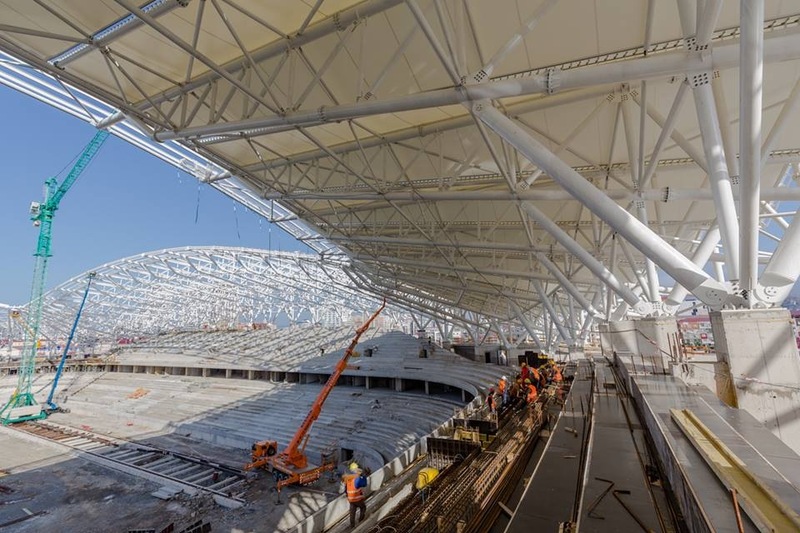 Once the roof and facades are entirely covered with membrane, the stadium should display a dynamic and rhythmic pattern, inspired by khorumi, traditional war dance of Adjara. 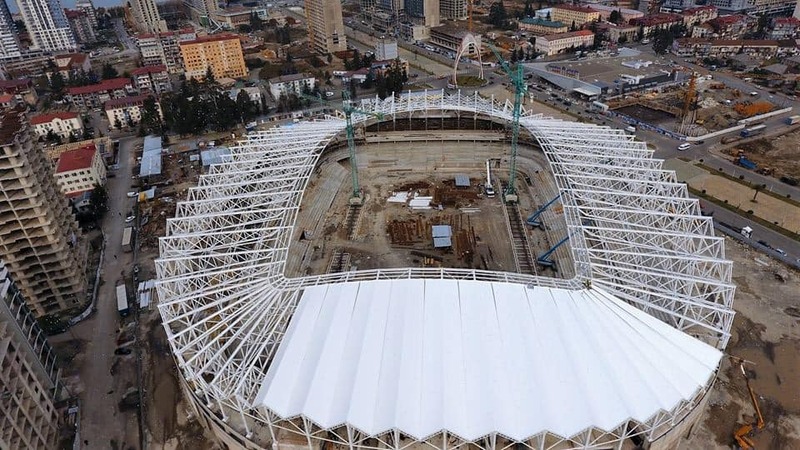 With over 20,000 seats – almost evenly spread across two tiers – the stadium will become the best and largest across the autonomous republic of Adjara. It's designed to meet all UEFA Category 4 requirements, while also including 1,200 parking places around. The budget is relatively modest at 99.5 million lori (€33 million).